--> This post was inspired by EbonyCPrincess of longing4length's article on what happens after we share our views about a product- do we continue using them? In no particular order, let's start. 1. Keracare Humecto (Review here): I've literally only had this as my moisturizing deep conditioner since I did the review and I won't be replacing it. If anything at all, I'll add another moisturizing deep conditioner. 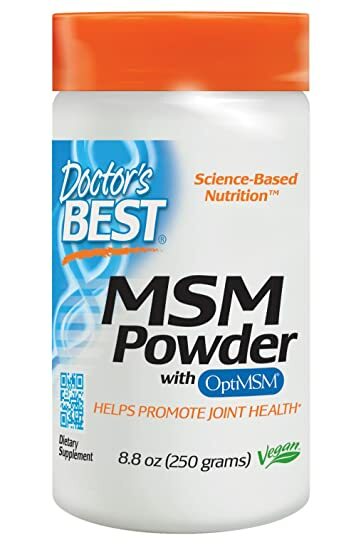 The results from this product has been consistent; it's curbed my protein issues, and a little goes a long way though it's pricey. I have discovered the big bottle which is comparatively cheaper so I'll be saving to get it for the year. I got a sew in weave installed today. Hopefully I am going to keep it past 4 weeks. It's getting dry here. And I have exams. I won't have time to style my hair while observing healthy hair rules. That's why I opted for the sew in. I will spritz my hair with water twice in a week and moisturise with my castor oil and olive oil mix almost daily. I will massage my scalp daily. Continue drinking loads of water and taking biotin. That's going to be my lifestyle for 4 weeks. Definately going to miss washday as I will be using my dry shampoo. --> Hi ladies, hope you are enjoying the season of love! I've had wonderful gifts from the Lord which I'll share with you later!I didn't think I'll be home celebrating the festive season due to work schedule. Somehow, I took ill so I had to be home and am grateful for this! Alright, to the wash with my stylist. I'll be bringing down my stuff back home from my work station so I'll have my burdock and tea rinse with me again. Wishing you a joyous celebration of the birth of our saviour!! Let your light so shine that others will be brightened by it!! After relaxer. Yay! I have thicker hair! Combed my hair today. I'm at my lower neck now. hopefully i will graze shoulder length or me shoulder length after my next relaxer. Meet Amarachi, the sensational 8 year old with beautiful natural hair! I love everything about her! --> This wash Day was also simple.1. I did a prepoo treatment with roux porosity control (catch my review here) on the dry hair and went about my chores - I think I left it on for 15-20 minutes. 4. Deep conditioned with Keracare humecto for 15 minutes under the dryer. Pause: At this moment, I get to meet one of my readers, the lovely Mey, who had come for a crotchet weave! Awesome occasion. 5. Got a roller set and did a length check. I'll get another trim in a few months time- want to make sure my ends stay healthy as well as get the henna out. I did a protective style for 3 weeks and 4 days and it was a sew-in short weave and it was initially supposed to last 4 weeks. But last Sunday I decided I couldn't go any more. I missed my hair so much. I coukd feel the new growth and I was dying to see my current length. During the weeks --> . I was and I still am on the water challenge. Took and I'm still taking biotin. And did an inversion during my second week. 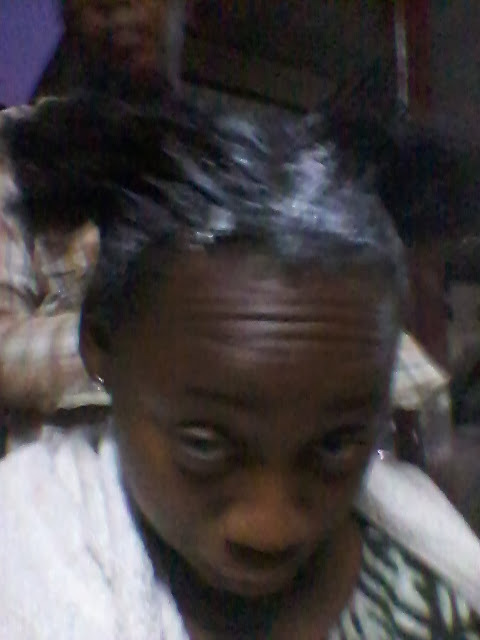 My scalp under the weave prior to taking off the weave. my scalp after removing the weave. the weave. Did a short weave and loved it. 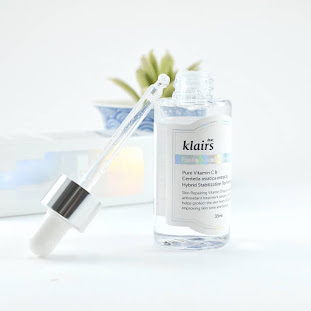 2 Years Of Blogging Give Away! --> My blog is 2 years old today!!!! For this special occasion, I'll give out a product from one of my favourite brands worth 60gh! Simply answer the following questions:1. How did you find my blog? 2. How has the blog helped you? 3.What do you wish to see on the blog? Give away ends on the 17th of December!! The winner will be randomly selected! Co-Wash @ 5 Weeks Post! I purchased herbal Essences hello hydration coconut and orchid conditioner and the uplifting volume conditioner! I'll be using products that have worked for me and are also protein free. I'm still waiting for my new products to arrive so until then, the coconut and orchid conditioner will suffice. I co-washed and I wish I could leave the conditioner on the whole day! I'll be using it regularly because the harmattan is finally in and dry hair isn't part of the agenda. My hair is still damp- do check out my fb for pictures. --> Almost 5 weeks actually.Since am home, I went to my stylist, Rose, for a wash.
4. Deep conditioned with Keracare Humecto for 15 minutes. I'll get a small bottle of S-curl during the week plus one small bottle of herbal essences conditioner. Managed to get a phone shot but it wasn't nice. Will take some and share on my fb in the course of the week. --> I know some will see it as being too early but I don't want to wait for another 4 weeks before I start working towards my new year's goals. After all, there's no break in the hair journey. Am currently evaluating my regimen which hasn't been strict at all. However, there's going to be a massive change. The first thing I'll be diligent with is herbal rinses with EVERY wash including co-washing. I'll balance my protein based products with moisture ones. If I use protein deep conditioner, the leave will be moisture based. If I use moisturizing deep conditioner, leave in will be protein. --> Mini because it was only the leave out part that got washed! 1. I applied VO5 and Suave conditioners mixed to wash the leave out. 3. T-shirt dried the hair for some minutes. 4. Air dried and mixed up ORS intense moisture with Hawaiian silky leave in,almond oil, coconut oil and hemp oil. 5. 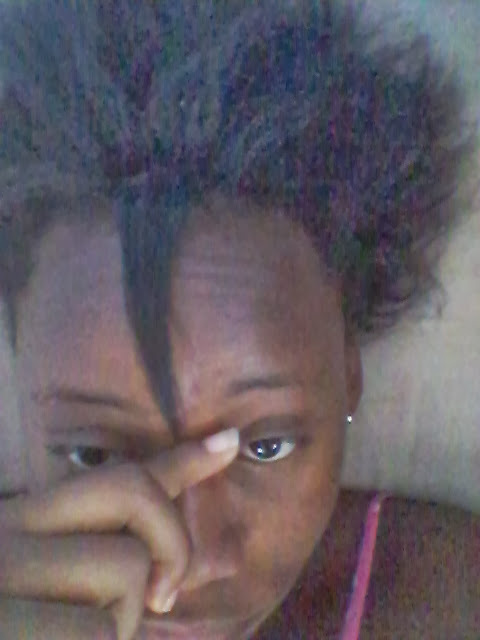 Twisted up the hair to avoid tangles. The Liquid, Oil, Cream or the Liquid, Cream, Oil techniques have become quite popular among fellow hair bloggers as well as readers. The two methods all aim at keeping moisture locked in the hair. November is also going! was eventful for the most part. Let me break down November in review and December plans for you. My Secura hair and facial steamer got destroyed by high voltage but fortunately, Secura company has decided to help me out though I caused the problem; should have double checked the voltage level for Ghana.! I have used the dryer on my hair and it left my hair very soft. Love it! *Bought 1 keracare humecto and 1 keracare leave in. Will get two bottles of humecto later. Forgot to take the kuza and dark and lovely home to give to a sister. Will leave them with my mom if am able to visit them or give them to someone to do so. I do exercise indoors and it's great. Need to persevere! * Will see my senior lecturers to work on my research! Yea!! * I was consistent with my multi vitamins; almost daily. Now, let me say that it was worth it! Growing Back My Hair: 5 Basic Things To Do! Focus on retention; I want my hair to grow at its maximum potential and get back to APL by the end of July 2014. Yes, That's my target and I'll will do all it takes to get it there. Am on my biotin based vitamins and will be doing the inversion and T444Z challenges coming up in December. See here to register for the biotin challenge. As a result, retention is key to keeping all the growth I'll get. Wash Day: Soft Hair Awakened! --> Amen. 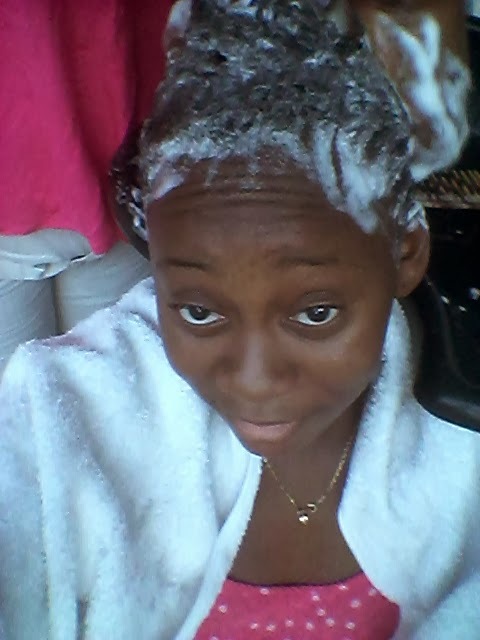 Initially, I'd decided to co-wash as the Ghana-Egypt match was on going. Am not a football enthusiast but at least I was eavesdropping. I used a mix of the VO5 conditioner and Suave Almond sheabutter (review coming tomorrow) and followed with motions moisture plus conditioner, covered with plastic cap for about 10 minutes. I, actually, don't feel any "plus" with the motions-full review will be up soon. I went for a conditioner wash at Rose's and she used suave conditionerFollowed up with Motions moisture plus conditioner( Will have to use this myself in order to judge it well)Covered with processing cap for 5 minutesRinsed and deep conditioned under hooded dryer with keracare humecto for 15 minutes Allowed hair to cool,rinsed, added Hawaiian silky leave in and rollerset. Inversion Challenge 24th November-1st December! 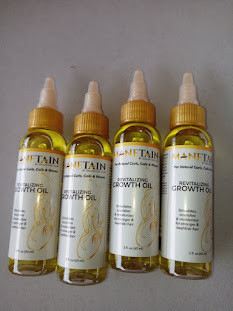 --> I don't join bandwagons but after seeing my usual skeptical friend blogger,Dabs of naijahaircangrow, put it to a successful test, am going to try it with my readers on our whatsapp group, Gh hairlistas! The challenge starts from 24th November-1st December, 2013. Wash Day In 4 Steps: Amazing Results! 3. Applied Hawaiian Silky leave in conditioner. Rollerset and sat under hooded dryer. I'll use the same products for two more washes before judging the ORS oil moisturizing lotion and Hawaiian Silky leave in conditioner which I got from a swap during our meet and greet. I've also stocked up on Keracare humecto (see my review here) and will getting more soon! If my next washes give me the same result, then, the hawaiian silky leave in conditioner stays!! That will end my search for a moisturizing leave in. I've been swinging my hair like no one's business!!! I love this wash results. How is/was your wash day? it contains hydrolyzed wheat protein!!!! After watching several reviews and reading reviews on blogs about Keracare leave in, the one word that most people used was "moisturizing". So I went out to get it, walked out of the shop and decided to verify if indeed it was protein free- I was stunned, shocked, surprised and perplexed to find the protein content again but refused to cry. There's one thing I've learnt from Nadege of relaxedhairhealth-don't wait for months to start working towards your goals-start as soon as you set them. 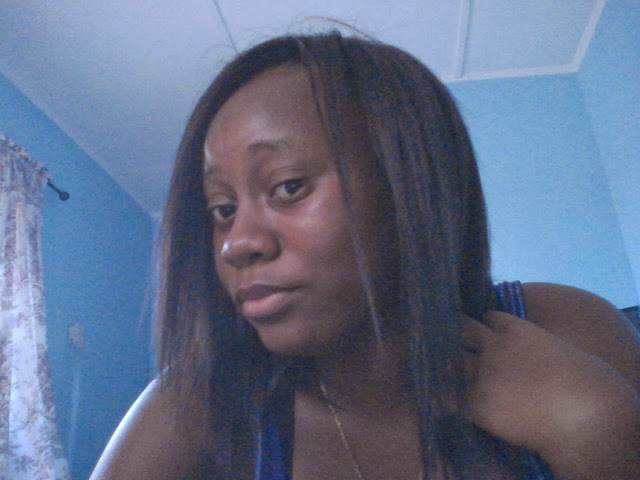 So, am not waiting for the year to end before I implement my hair goals; am commencing them now! I've said I'm not buying anything hair related in 2014 except restocking stables and I'v started that now. With my current arsenal, I don't think I'll have any warfare with my hair, battles, yes. These two years have seen me grow from necklength to almost APL and back to necklength and it isn't funny when you loose interest in caring for your hair. Though my goals aren't up for you, I'm putting them into action. Who knows? I might achieve some of them before the year begins! Am Doing Too Much! Salt In Conditioner Method Fail! --> I did another co-wash yesterday (see this week's co-washing here) . Yesterday, by chance, I came up a post that talked about cholesterols in general also containing protein; I thought it was only the Dark and lovely ultra cholesterol. Because I didn't any protein overload, I tried the salt in conditioner method. I tried the salt in conditioner method to reduce any increased protein I might have had with the use of the ORS replenishing conditioner and Kuza cholesterol.Well, the salt in conditioner didn't work! I've co-washed about 3x since I relaxed-the last one was Yesterday where I used forever living ph balanced conditioner to wash, followed with Kuza cholesterol. This morning,I applied jbco, cantu sheabutter and sealed with raw sheabutter. I then blow dried alternating between cool and medium since the hair was a bit wet. Cute Updo With French Braid!! I haven 't posted a style inspiration in a while. Alright, watch BeautifulBrwnBabyDoll and DannieBeeLoved to learn a cute updo on relaxed and natural hair! What do you think of the styles? Want To Colour Your Hair? Check This Out! Youtuber, Marys HairObessession does such a wonderful work with her coloured treated hair. See how she does it! Apparently, I'd left all my shampoos at home; the brohaha of living at two places (see my post on this here)! I'd intended doing a treatments with products I was sent to test so I wanted to shampoo. Fortunately, I hadn't used it the sample shampoo - I see it on the table everyday and assume it's a also a detangler. I'd used the detangler once assumed it was the detangler lying around- found the detangler lying beneath the shampoo lol. What is biotin? Also known as vitamin B7, it is a member of the water soluble vitamin B group. Supporting the growth of healthy hair, biotin has a direct role in the creation of keratin, a protein that is present in hair and nails of our bodies. Known for its hair friendliness, it is also called vitamin H, and is often prescribed as a treatment for healing dry scalps, treating brittle fingernails and for re-activating hair growth in people experiencing hair loss. (source:www.ehow.com) Read more here. I've used biotin based supplements for a month and noticed a great deal of growth and thickness! I do believe that biotin can also help your hair to achieve its maximum potential. The challenge will be over a 3 month period; you may or not reach your ultimate goal in 3 months but you'll be encouraged by the results to reach your goals. 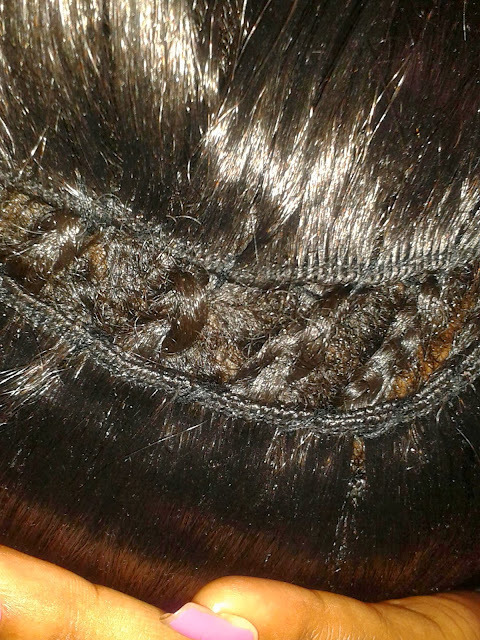 Mira's Hair : My First Fold Up!!! 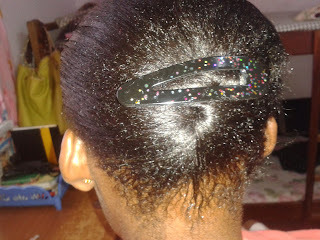 --> Since the start of my hhj I have always just couldn't wait for the day when I could hold up my hair. A ponytail. For an actual pony tail I am going to have to wait almost 2 years.But recently I realised I am able to hold all of my hair up. And although it's not a pony, it's a milestone, a sign that my pony is possible. When You Live At Two Places! --> On several occasions, I've had to deal with living at two different locations due to studies. Due to this, I struggled with keeping products at both places because those were the days I couldn't afford having two of each item. To cope with my up and down movement, I rather got small bottles and divided the product into two parts! Since I spent more time in school more that at home, the quantity for home was less. Then, with rollers and other tools, I left them at home just to save me the temptation of trying fancy styles or blow drying and rather air dried. Salon visits were rare! 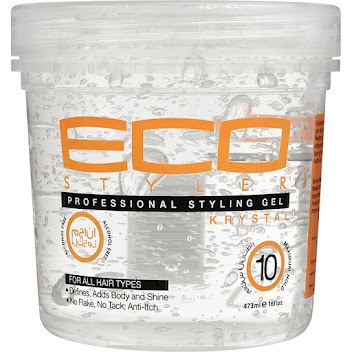 The quality of water also impacts the state of the hair. I believe that our hair adjusts to the kind of water we use. To ensure that I didn't experience set backs from the frequent change, I clarified regularly. Anyways, I use Elasta QP no lye relaxer for sensitive scalp. The whole application and smoothing process took about 20 minutes. NO combing through! She used neutralizing shampoo and intense moisture treatment that came in the pack. She neutralized 6 times!! Can you imagine? It was such an awesome feeling. For leave in, she used the cantu sheabutter- see review here and followed with Doo Gro oil and another nice smelling oil- I couldn't see the package. She roller set and let me say that her roller set skills are the boom!! I'll use a chelating shampoo when I wash my hair. It's A Hair Affair Meet, Greet and Swap Recap!! --> Yeessss! It did come on live and coloured at the Jerusalem restaurant!I won't say much; let the pictures talk! 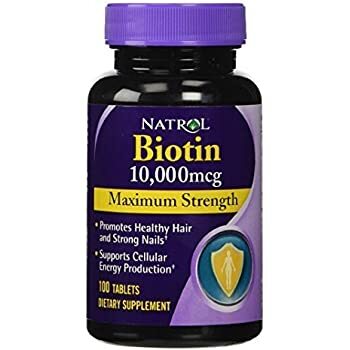 Is Biotin Working For Me? I posted my biotin based products a month ago and even though I didn't take before pictures, I hoped to notice a difference in the length!First of all, I had 2 biotin based products; Nature's Way Hair, Skin and Nails and Nature's Way biotin. 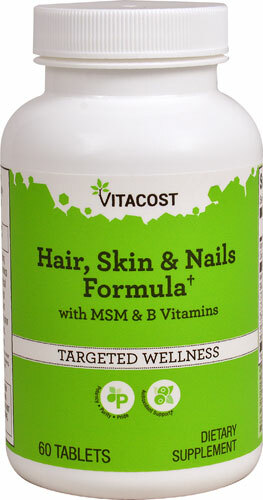 The former contains 3000mcg biotin whilst the latter has 5000 mcg biotin. The Hair Skin and Nails is 3x a day but smells awful! Within a week, I stopped taking it and stuck to the pure biotin which is 1x a day. This is taken with food too.